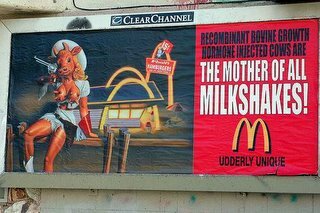 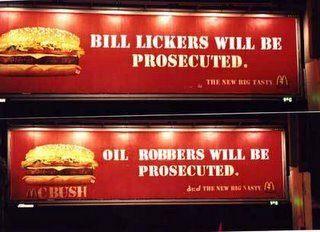 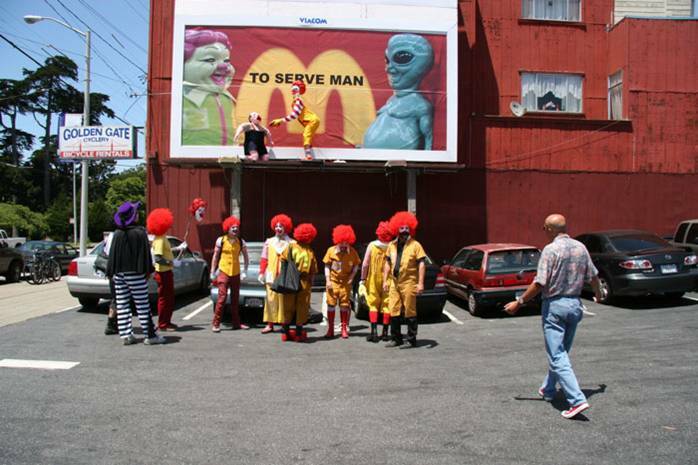 Here's a small compilation of anti-McDonalds billboards I showed in a recent class on culture jamminng. Some (all?) 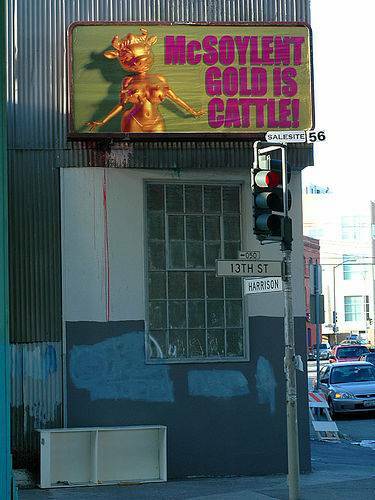 of the images are from Brand Busters or Wooster Collective, but unfortunately I can't give a more precise credit. 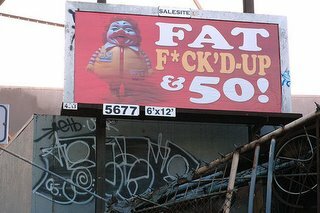 Fat, Fucked Up and Fifty on Flickr.